Joomla 2.5 Tutorial – Where is the Trash Manager? Joomla 2.5 Tutorial – In Joomla 2.5 the Trash Manager is very well hidden, but it’s also very easy to find. If you delete an Article, Category, Module, Banner, Contact or anything, you often wonder where did that go? How do I purge those elements from my trash? Below I will show you where your Trash Manager is and how to purge elements out of your trash. Below is an example of how to purge articles from the Article Viewer, but the same logic applies to categories, modules, banners, contacts etc. 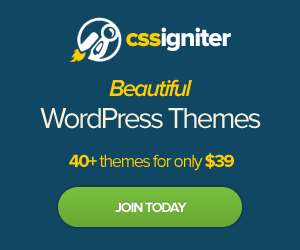 Article Manager is where all your articles are stored. 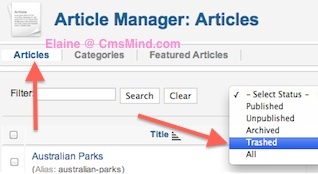 You can use the Article Manager options to choose how you want your Articles to display on your website. You already deleted a number of articles and now you want to view them in your Trash Manager. All you have to do is change the status to ‘Trashed’. Simple right? That’s it. The same logic applies to find the Trash Manager for your categories, Modules, Contacts and other elements you have on your Joomla 2.5 website. How to do this for Modules? Module Manager will show you Trashed Modules if you select that type but it gives you no opportunity to delete them. This Captcha system needs to keep your text. I am on version 3 of my comment and the details are getting shorter and shorter. I just “copied” to be safe at least. First, Sorry about the Captcha. I’m currently trying to find another one that would be more easy to read. Second, I created a post for you to find the Module Manager Trash Manager. Step 4 shows you how to purge the trash manager. The post is here. A free extension allows you to view and empty the Joomla Recycle Bin with 1 click: (contents, menu items, categories and 8 more) search for “Recycle bin” on the Joomla Extension Directory. Really? I will look into it. thanks for the tip!